Its pretty awesome, hope it helps you. I did not do VRRP failover, which is what some people on the net say to do. This would mean that your VIP would be bound to one server and require an ARP for it to failover to the secondary in a failover scenerio, for mysql this is verrrrrry bad especially in a production high traffic site. In my setup the VIP is bound to both DB’s and will NOT require an ARP for failover. At the time I wrote this VMAC support was not included in keepalived and it’s just starting to come out in keepalived, however still in its infancy and I don’t recommend trying it unless you’ve tested it thoughorly. Also I did this setup using Virtual Machines in a Production Environment for a University and it worked flawlessly. –Keepalived will be using a custom misc_chk script which does a TCP, PORT, MYSQL SERVICE RUNNING, and TABLE WRITE check. Should this fail 3 times, it fails to the secondary DB. -Setting mysql backups as well, you will be able to do backups and restores without breaking replication or stopping mysql. 1. Provision yourself some servers using Debian or Ubuntu just for the keepalived stuff. I find that redhat has issues with compiling and its a bit slow. Your DB’s can be whatever distro you want. Note. 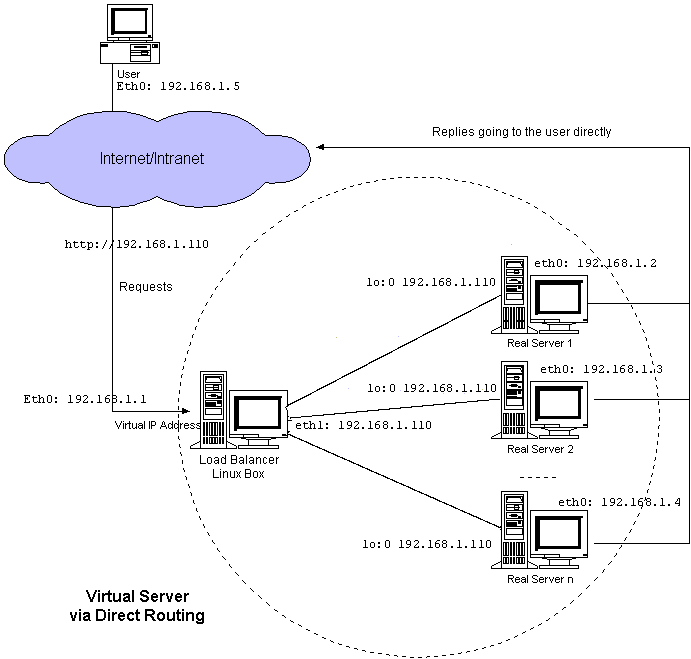 Ensure that you have two nics setup on your VM’s and that they are on the same vlan’s. This setup is single armed. If you are Doing NAT you will need two VLANS. If you decided to use debian you will need the following packages to compile from source. I would recommend compiling from source, so you don’t have to worry about updates from the OS repo affecting your environments by accident. Ensure that you have the Kernel Headers installed, as you will need them. #This line adds a static route for the entire subnet so traffic can reach the real servers #properly, this line is not necessary, however if the packets are dropping at the destination, #this line helps correct that, it usually better to have this in place. #This interface is on the same vlan as the primary eth0 interface on purpose. This i#nterface is soley used by keepalived as the sync interface / hearbeat for keepalived #daemon to sync to the second director lvs2. #This ip should be an non routable address you define, just make sure that lvs2 is on the #same subnet as this non routeble address, so if this is lvs1 then lvs2 will be 172.16.98.3 #kind of thing. 4. Now what I have done is setup a reload script that will update LVS2 upon reload so I dont have to keep updating both LVS server everytime I have to do a graceful reload, not sure why keepalive has not implemented this feature yet. Developer, don’t think like systems engineers and vice versa. ### There are elements within that need to stay unique on each server. /etc/keepalived/head <- Contains the Global LVS directives for the directors(director means LVS1 or LVS2) there are links below for example files. Warning: Directives within the GLOBAL section MUST differ on each server in a failover setup!!! Example /etc/keepalived/head (whatever you put in your keepalived.conf for the globaldefs put in your head file copy past it here is a sample ones. /etc/keepalived/virtual_ips.conf <- Contains the VIP ip’s, whatever you have in your keepalived.conf create this file and copy paste it. create the following file /etc/init.d/keepalivedreload and give it executable permissions. create /etc/keepalived/backups directory as well. a) this will copy the virtual ips file and conf.d directory to lvs2 and reload the config lvs2 and make a backup of the config prior to update. Now I have made the second one so that you can’t make reloads updates to the primary lvs from the secondary, just because of human error. You’re free to do this however you please. I found this way to be beneficial. (LVS2) /etc/init.d/keepalivedreload this script will just make a backup and reload on lvs2 and not update back to lvs1. 6. Test the reload by running it and seeing if the upates take effect from lvs1 to lvs2. You should see the keepalived.conf and /etc/keepalived/conf.d directory all matching. Note: The reason for this is it will make sure the server doesn’t loop back and start ARP requests for the VIP. On master 1, create a replication slave account in mysql. and restart the mysql master1. Above highlighted rows must be indicate related log files and Slave_IO_Running and Slave_SQL_Running: must be to YES. The above scenario is for master-slave, now we will create a slave master scenario for the same systems and it will work as master master. Edit my.cnf on master1 for information of its master. Restart both mysql master1 and master2. NOW SETUP MYSQL FOR KEEPALIVED TO BE ABLE TO WRITE TO IT. Note – if you setup replication correctly, this will replicate over to your secondary DB and you wont have to worry about setting this up on your secondary. 1. this is so keepalived msc_chk will be able to test to see if the db can be written to and it put a timestamp in the tables. B)Also do the same for LVS2 with below steps. – So we want to make sure that MYSQL in the event restarts doesnt allow traffic until both databases servers are caught with replication. # It greps for the seconds behind the Master until it hits ZERO if its at ZERO then it will allow the LVS server to connect to the DB. # It will also send out an email if replication is broken and keep traffic blocked. My advice before setting this up is get familar with it # and test before using. 4. Now we on your secondary DB we want to make sure that in the event a failure occurs the replication is not broken or the data would get out of sync. So we have a script that check replication every 5 seconds via a cron, if replication is broken it will change the DB to read only and send out an alert email. For multi-threaded backup and restores of InnoDB and myisam check out my http://www.nicktailor.com/?p=270 post here. ” watch -n1 ‘ipvsadm -L -n|grep -A$N $VIP:$PORT’ ” <– this will run the specified command updating every 1 second.